I am always impressed with Dr.Cohen's manner and professionalism. I would recommend him to a friend. 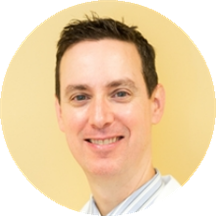 Randy Cohen is a dedicated and interested cardiologist caring for the West Nyack, NY community. Dr. Cohen earned his medical degree from the St. George's University School of Medicine in Grenada. He then moved to the United States, where he completed his internship and residency in internal medicine at Saint Luke's-Roosevelt Hospital Center. He also completed a fellowship in cardiology at Saint Luke's-Roosevelt Hospital Center. Additionally, he completed a fellowship in cardiology at the University of Massachusetts Medical Center. Dr. Cohen completed his bachelor's at California Polytechnic State University and his master's at Columbia University. Dr. Cohen is a part of Crystal Run Healthcare. He is a board certified physician specializing in cardiovascular disease. He is also board certified by the American Board of Clinical Lipidology and the Certification Board of Cardiovascular Computed Tomography. Dr. Cohen is a member of the American College of Cardiology, American Heart Association, American Society of Nuclear Cardiology, Society of Cardiovascular Computed Tomography, and the National Lipid Association. Dr. Cohen gives each patient his focused attention, and he prides himself on delivering the best treatment available. He is uncompromising in his dedication to the well-being of his patients. He is committed to giving the best care and establishing long-lasting relationships with them. Cohen R, Bavishi C, Rozanski A. Purpose in Life and its Relationship to All-Cause Mortality and Cardiovascular Events: A Meta-Analysis. Abstract accepted as top 10% of all AHA Specialty conference abstracts for 2015. Re-presented at national AHA meeting, Orlando, Florida November 2015. El-Hayek G, Benjo A, Uretsky S, Al-Maliah M, Cohen R, Bamira D, Chavez P, Nascimento F, Santana O, Patel R, Cavalcante JL. Meta-analysis of coronary computed tomography angiography versus standard of care strategy for the evaluation of low risk chest pain: are randomized controlled trials and cohort studies showing the same evidence? Int J Cardiol. 2014;177(1):238-245.